Hurricane Irma at least 10 deaths has been reported in the Caribbean as Florida, Georgia, South Carolina brace for this hurricane. What’s the impact of a Category 5 hurricane? 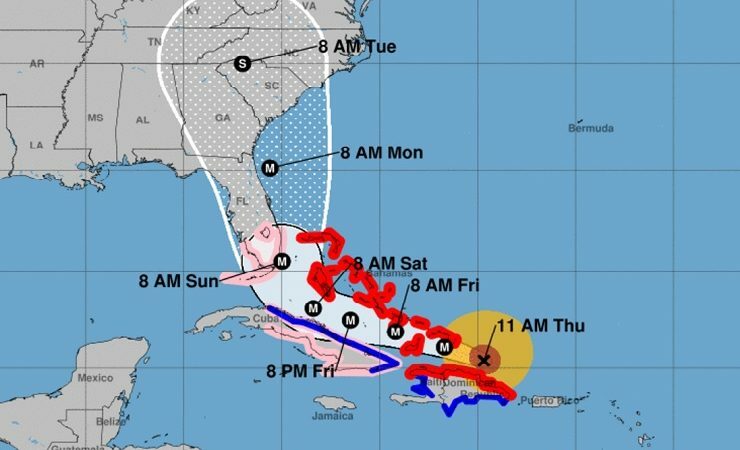 (Courtesy of CNN) CNN’s meteorologists say it will be “catastrophic” if Irma hits Florida as a Category 4 or 5 hurricane. 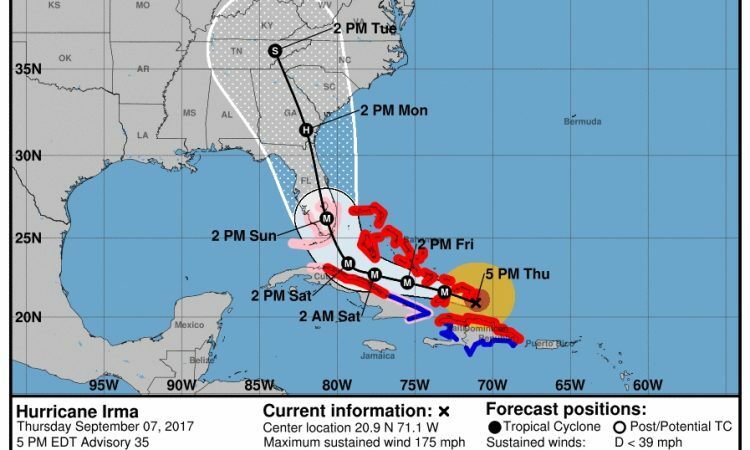 It’s currently on track to hit Florida, according to forecasts. The question now is when and exactly where.